Tonight I am reposting a couple blogs that are well-written in my opinion. They both cover something I’ve had on my heart to write about… the cynical feelings I have with this season and the reasons. The reason, for me, is there. It is in my heart 365 days of the year. I know God wins in the end. I’ve read the book. I also know it is best to pick your battles to win the war. Keep an open mind if you read on. Perhaps Christmas doesn’t come from a store? Perhaps Christmas is so much more! I simply want peace on earth… the real kind… like how this Christmas started. Another article from my head and heart that was also written by someone else. When Perry Como belts out, “Happy Holidays!” do folks change the radio station? What message are we sending if we tersely reply, “MERRY CHRISTMAS!! !” to a stranger who wished us a Happy Holiday but who hasn’t a clue if we are celebrating Christ’s birth? The Jesus we celebrate knows our hearts. Does it make Jesus happy if His followers temper flares when a cashier greets them? I’ve seen several commercials this year with “Christmas” in the script and plenty of store windows too. 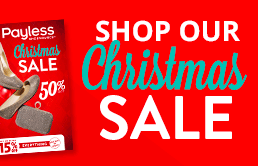 None of this propaganda is really the reason for the season– it is a reason to have a sale. The reason for the season is what is in our hearts. What is in our hearts utters from our lips. (Matthew 15:18). How will they know we are followers if not by our love?